We bring together a selection of customer service books. We are not sticking to a defined publishing because obscure customer service books may have suddenly become mainstream and even best sellers. There could also have been reprints of old books full of wise advice that we had now long forgotten because of the emergence of modern techniques with social media and mobile related services. Anyhow, enough of an introduction, let us leave the books to do the talking. We found the overall approach adopted for this book most interesting and a lot of the key messages can be drawn from the above headline. First point to note is that it is written for geeks and is not about geeks. The second point is that it contains a majority of generic points about ways to deliver customer service and skills required for good customer service. So much that it makes it a great book for all to read as much of the content is relevant to all employees and business owners dealing with customers. The book contains many tips and checklists covering topics such as emotional intelligence, listening skills, handling customers and personal development points. The final point is that the book does cover some geeky aspects in particular in the number of IT users related examples that are being used. We found this later point most interesting as we believe that in many instances, users of IT would benefit greatly in acquiring skills helping them to understand how it looks from the other side. As a result they would achieve better communication and receive a better service. 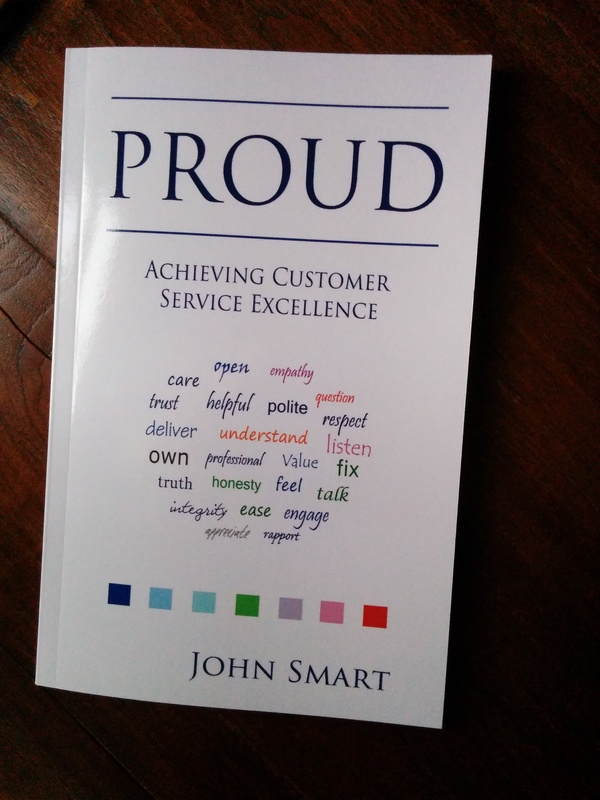 This customer service book was written by John Smart as support material for his customer service excellence workshop. The book was published in 2014 and describes The PROUD methodology. PROUD is a philosophy of customer service which translates to being Polite and Professional at all times, having Respect for the customer, taking Ownership of the problem, gaining an Understanding of a customer’s needs and wants and ensuring customer service executives Deliver on what is possible. The book does not include revolutionary thoughts as such but presents in a logical way a set of attributes that people interfacing with customers should possess to ensure a good service delivery. The practical steps and words of advice will be valuable to many. This book was written by Steve DiGioia in 2013 and is targeted primarily at people working in the hospitality service industry such as waiters, restaurant managers and catering employees. The book gives ideas on how to make customers (guests) feel special, thereby increasing the opportunity to earn better tips. One of the fundamental ideas is to create a virtuous circle whereby employees are made happier by earning more money and in turn are more likely to offer an even better service. Whilst explicitely targeting the restaurant/catering trade, it is a good read for executives in other industries too. We believe that they would benefit greatly and be able to generate new ideas on how to improve their customer service by building analogies between the restaurant industry and their own. The book, published in 2013, has been written by Chuck Wall and argues that nowadays, customers are in charge, not the CEOs. The book is articulated around chapters which examine the various source of influence and power over a company. Whilst customer service does rarely feature in a very explicit manner it is clearly a major underlying factor throughout this publication. A comprehensive customer service delivery would certainly become ambassadors for the company, coverted to the cause and use the power of customers to leverage the success of the company. Thank you VGS for including my book “Earn More Tips On Your Very Next Shift…Even If You’re a Bad Waiter” in this list. Our pleasure, always great to discover customer service books with a new outlook. Thanks for sharing a review copy with us.